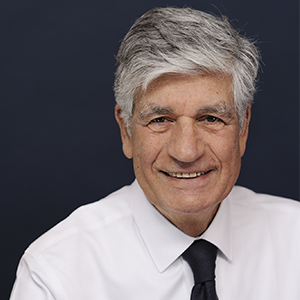 Maurice Lévy is Chairman of the Supervisory Board of Publicis Groupe, the world’s third largest communication group. He joined Publicis in 1971 as IT Director, and was later named CEO of Publicis Groupe in 1987, a role that he fulfilled for 30 years until being named Chairman of the Supervisory Board as of June 1, 2017. Widely recognized as a leading figure in the communications industry, Mr. Lévy also co-founded the French Brain Institute (ICM) in 2005. He serves as Chairman for several entities, including the International Board of Governors for the Peres Center for Peace and the Pasteur-Weizmann Institute since 2015. Mr. Lévy has been honored with numerous distinctions and accolades for his contributions to media, business leadership, and tolerance. Mr. Lévy holds the distinctions of Commandeur of the French Légion d’Honneur and Grand Officier of the Ordre National du Mérite.